4 Play Bodyboards Australia produce some of the best bodyboards in the industry. 4Play design and manufacture boards that are of innovative design, functional and durable to allow you the rider a better boarding experience. 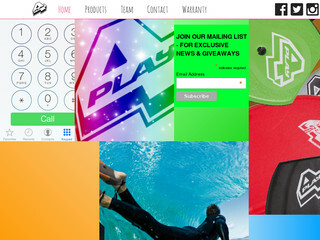 Visit the website of 4PLAY Bodyboards now ! 4PLAY Bodyboards , belonging to category "Bodyboarding Brands"